When we fall in love with a piece of literature, we want to feel closer to it. We can discuss it, read works about it, consume re-imaginings and responses and re-creations, and absorb as much as possible around its edges. But ultimately, we only have the text itself, and whatever background, history and personal interest we bring to our readings of it. Because analysis is subjective, isn’t it? We bring so much of ourselves to our individual understandings of a story. If a text feels particularly poignant or personal, we may take opportunities, where possible, to increase our intimacy with it. In recognition of its bicentennial, my friend Tess and I each seized the chance to become closer to our favourite novel, Frankenstein. 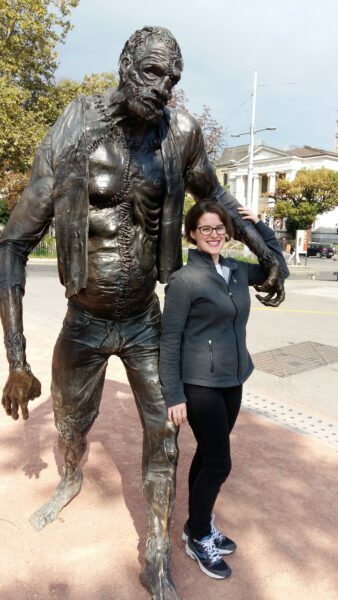 We each visited Geneva, Chamonix, and other significant sites, I in 2016 to follow the Shelleys, and she in early 2018 in the footsteps of Victor Frankenstein and his Creation. Cologny, today a municipality of Geneva, was an essential stop as the birthplace of both the novel and its eponymous protagonist. Mary would not have had her famous dream of “the pale student of unhallowed arts kneeling beside the thing he had put together” at the still-standing Villa Diodati, but there’s still a thrill that comes with standing so close to where Frankenstein began. I took a water shuttle – a boat that’s part of Geneva’s public transportation system – in the hope of catching a glimpse of the Villa from afar. While the motorized shuttle was a far cry from anything they’d have used, I could still envision the Byron-Shelley party boating out into the lake in view of a different city skyline, but with the same mountains towering above. Victor, Elizabeth, and Clerval also surely played along the shore and rowed into the lake themselves. Being in the physical space where a novel takes place can help solidify a part of the story in our minds. Even with a vivid imagination, the images we have are, to an extent, amorphous. Seeing a visual adaptation of a novel can help concretize our mental image of a character or setting, but reading a novel like Frankenstein, we can’t help but be informed by decades of re-imaginings, from films to ballets to breakfast cereals. While there’s no definite way the characters must look, we can start to bring our vision of their setting closer to what Mary Shelley envisioned herself. This is especially gratifying in a novel where the landscape is practically another character itself. Tess felt like she could see the Creature lumbering out of the walled city of Ingolstadt into its surrounding forests, and could feel Victor’s isolation on the rough and windy Orkneys. While the locals were warm (and apparently largely unaware of the islands’ connection to Frankenstein), their home was as harsh and unforgiving as Shelley describes. My most striking experience of connecting with a Shelley’s work on my trip was not with Mary’s novel. While Pont Pélissier is briefly mentioned in Frankenstein, it’s more significantly the spot where Percy began writing “Mont Blanc.” I’ve always felt a sense of swirling intensity in the descriptions of the landscape in the poem, but standing in the “dark, deep Ravine” over the “vast river” and looking up at the sun on the mountains, I could, more than ever, connect with the sense of the sublime in Shelley’s words. From high in the Alps, as well as in the valley below, I was awestruck by the immensity of the mountains; it was easy to see how the Shelleys were moved to create some of their best work by the permanence, stillness, and scale of the scene. Tess felt the same way visiting the Mer de Glace. She couldn’t fathom its size from photos alone, and felt like she couldn’t take it all in at once. There was too much. 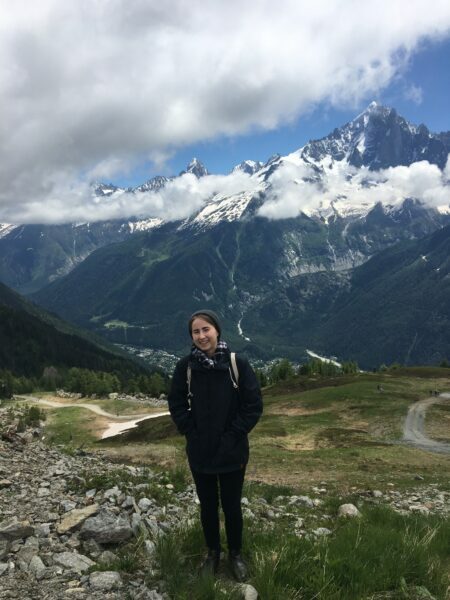 This was her first time being so close to mountains or glaciers, and she felt a sense of inherent awe and violence in the unforgiving ice and rocks of the Alps. This is a scene where only a truly superhuman being, like the Creature, could thrive. 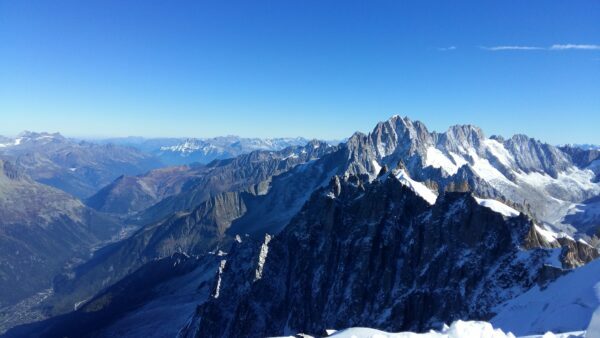 She was also able to ascend into the mountains, looking on Mont Blanc from a facing mountain range, and admits that she cried at its rugged beauty. (I did too, when I got close as close as tourists can get to Mont Blanc. It’s a lot to take in.) More than any art she’d seen before, this scene helped her understand what the sublime truly means. While she doesn’t hope to communicate the sublime in every piece she creates, Tess believes that this experience helped her develop her art. 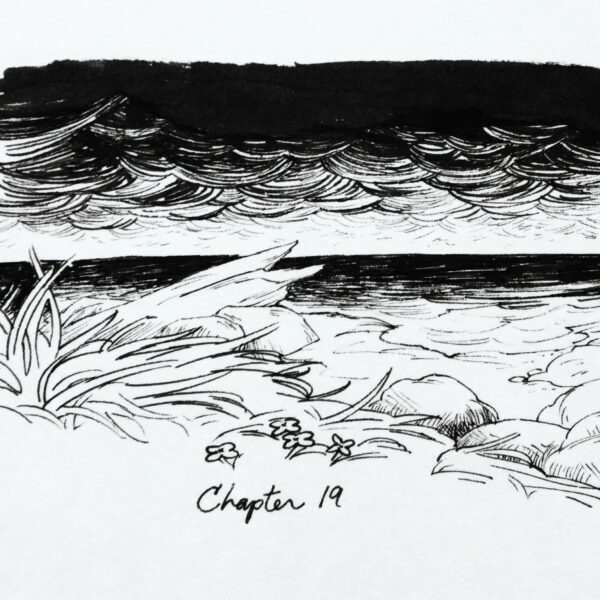 She was able to do some drawing from life on her trip, and she truly realized how futile it can be to try to capture every small detail of a landscape. In any form of art, we can only communicate so much, but we can create something truly immersive. Tess is drawn to art (like Frankenstein) where there’s a sense that there’s more going on in the world of the story than what we’re being given. Barely-explored characters like Ernest Frankenstein and Margaret Saville have lives separate from the narrative. Animals live in the mountains near Chamonix and the forests outside Ingolstadt. The people living on the Orkneys barely realize they’re a part of Victor’s and the Creature’s narratives at all. This is something that we strive to incorporate into our own work – the sense that you’re only seeing a part of a bigger picture. You can’t take in that whole picture, so relish what you can take in. The Romantics understood, of course, the inspirational power that the landscape could hold for artists, but they also understood the appeal of following artists who came before. Byron and Percy Shelley visited scenes of importance to Rousseau, and Keats followed Burns’ life in Scotland; these trips informed their work too. I find that this humanizes the poets who can seem a bit larger than life – their trip was motivated by the same desire as mine. Victor Frankenstein never set foot in the real Ingolstadt, but he’s just as (if not more) real in the public imagination at this point than his creator and her circle. Walking these real streets, changed as they are in two hundred years, feels like bringing these figures to life. Allison is a freelance editor whose recent work includes Wayward Sisters: An Anthology of Monstrous Women and The Pitiful Human-Lizard. 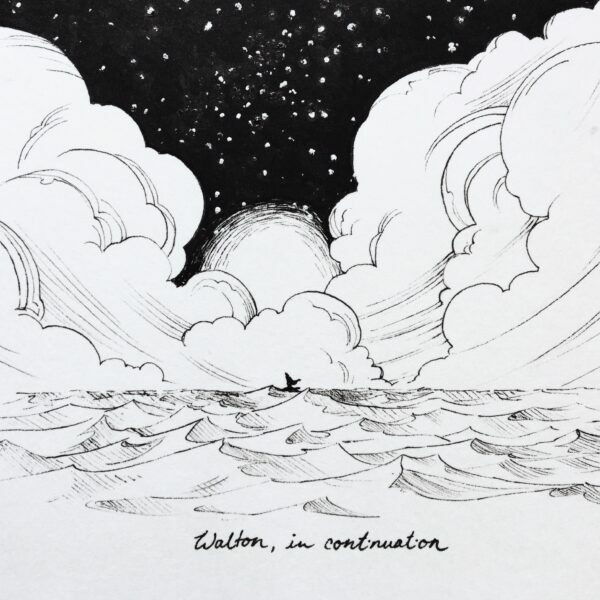 Tess is an illustrator and storyboard artist who self-publishes comics that focus on stories about the agency of people in harsh landscapes, and exploring personal histories in the underbelly of small-town Canada.